Quick summary: Students explore citizen science through the work of Earthwatch’s ClimateWatch program. Students begin by sharing what they already know about citizen science, and analysing a range of citizen science projects from around the world. They then investigate the ClimateWatch app and explore Earthwatch’s ClimateWatch Trails. Finally, students will head outside to engage in some real citizen science in the school yard. This lessons in this unit have been developed in partnership with Earthwatch. Earthwatch developed the ClimateWatch program with the Bureau of Meteorology and The University of Melbourne to understand how changes in temperature and rainfall are affecting the seasonal behaviour of Australia’s plants and animals. Students know how citizen science adds to our understanding of the world. Students understand citizen science’s relationship with communities. Content descriptions: NOTE – This unit has been designed to be taught in either Geography or Science. To further enhance the learnings from this unit for students, consider teaching this as a cross-curricular unit of work. Relevant parts of Year 7 Geography achievement standards: Students evaluate a range of primary and secondary sources to locate useful information. Relevant parts of Year 8 Geography achievement standards: Students evaluate a range of primary and secondary sources to locate useful and reliable information. Relevant parts of Year 7 Science achievement standards: Students describe situations where scientific knowledge from different science disciplines and diverse cultures has been used to solve a real-world problem. Relevant parts of Year 8 Science achievement standards: Students describe situations in which scientists collaborated to generate solutions to contemporary problems. Unit of work: ClimateWatch: Citizen Science – Geography and Science – Years 7 & 8. Level of teacher scaffolding: Medium – facilitate class discussion and lead students in activities. Resources required: Enough devices with ClimateWatch app installed for students to work in pairs. Internet access. Student Worksheets – one copy per student. Device capable of presenting a video to the class. Workbooks. Keywords: Earthwatch, ClimateWatch, citizen science, app, trail, biodiversity. Students understand citizen science's relationship with communities. ... engage with citizen science projects. 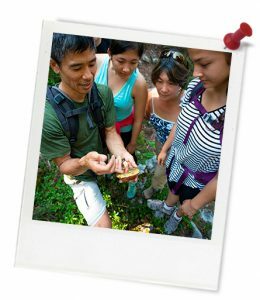 ... investigate Earthwatch's work and confidently engage with their projects. ... observe and digitally record the location and behaviour of plant and animal species. Thought starter: What types of citizen science projects would you most like to be a part of? 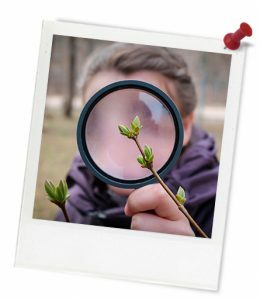 What types of citizen science projects are there?